Hey everyone. Another opportunity to see a free film. In this case it's The Legend of Hercules on 1/9 - playing in downtown Seattle. If you're interested just hit the link to passes info below and enter your relevant info. Remember that these things are generally overbooked so arrive early. And, No - I'm not really sure where this Hercules movie fits in with the spate of other Hercules films. You're on your own figuring that out. Actually - if anyone knows (or has the time to conduct what I'm assume is the 90 seconds worth of research to figure that out) please let me know in the comments. All I can tell for the sure is that it's about Hercules, some dude who spends too much time in the gym. 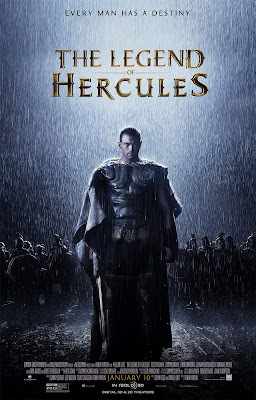 Click here to register for a free screening pass to The Legend of Hercules.